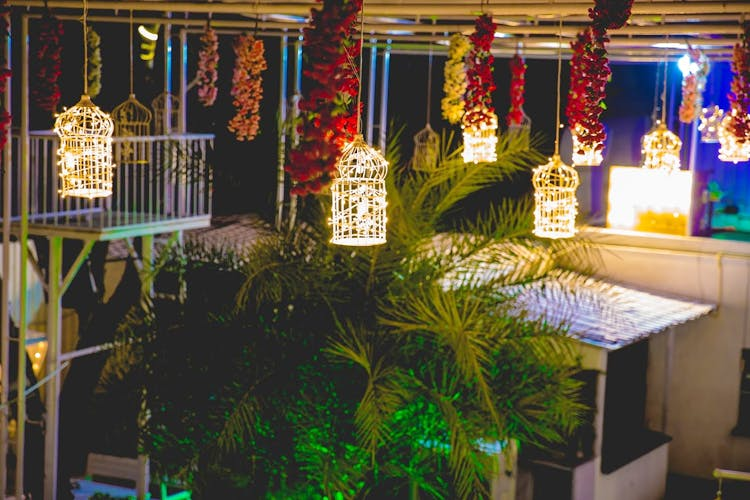 Gurgaon's Chic New BYOB Place Lets You Party On A Budget! Can’t wait for the weekend, but too broke to head out? Fret not! G-Town’s latest addition to nightlife is going to be your saviour. Located at Gurgaon’s DLF Phase 3, Karma—A BYOB by Lockup has managed to catch everyone’s attention with their chic fairy lights, live band performances and deals that’ll get you up to 100% off! Aren’t we all looking for a place where we can relax and drink without thinking too much about the rising liquor rates, or cleaning the house the next day? Karma—with its open-air seating, Insta-worthy decor and budget-friendly menu is the newest kid on the BYOB block. Looking for an adorable, date-night spot with bae? Pick up a bottle of wine and grab a seat under the fairy lights. Live band performances, EDM Nights, Sufi nights, Bollywood nights and an in-house DJ—they’ve come prepared to make your evening worthwhile. From dishes like Crispy Crunchy Chicken and Spicy Mutton Tikka, they’ve got enough options to satisfy the meat lover in you. For all the vegetarians in the house, their menu ranges from tikkas and pizzas to Dal Makhani—so sit back and take your pick! Kickstart your weekend on a Friday night with live band performances. You’ll have to pay an entry fee of INR 500 but it’s 100% redeemable on the food menu. Bookmark this spot, grab your booze and hit Karma with your squad. Follow them on Facebook and Instagram to stay updated with all upcoming performances and deals.